The RippleNami and KVA public-private partnership offers a power intuitive method to visualise livestock data and identify patterns that quickly lead to actionable outcomes for cattle suppliers, veterinarians, lenders, buyers and government authorities. A strategic partnership between Kenya Veterinary Association (KVA) and RippleNami, Inc. with support from the Directorate of Veterinary Services and a local bank, delivered the country’s first real-time, livestock identification and traceability programme, starting in Kenya’s arid and semi-arid counties. RippleNami, a leading provider of a blockchain data visualisation platform, is enabling the identification and tracking of individual cattle and its ownership, real-time mapping of livestock diseases and geo-position, along with capturing critical livestock biodata to its web-enabled database. 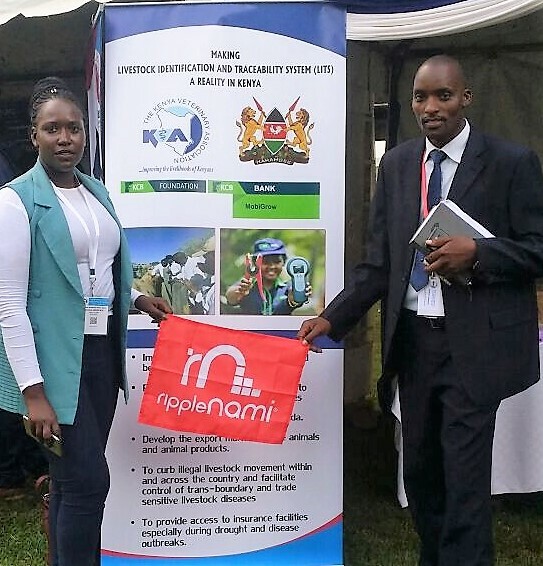 The Livestock Identification and Traceability System in Kenya is making use of Radio Frequency Identification Device (RFID) technology, integrated with RippleNami’s platform. This allows veterinary officers to identify, register and capture the data on animal owners, premises and linking each animal asset from farm to fork. This system aids in disease control and management and curtails illegal livestock movement and the rampant cattle theft in key parts of the country. The system also helps in tracking health records at the point of treatment and monitoring weight gain in targeted animals. 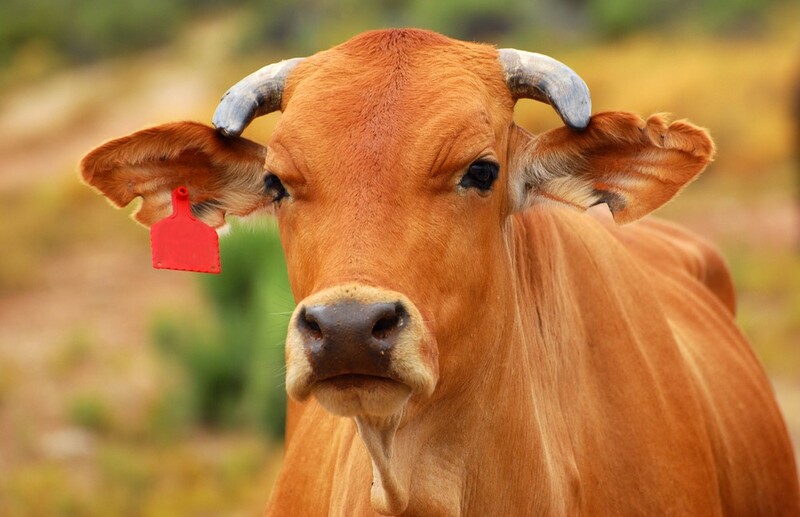 A critical advantage of establishing this new marketplace for tagged cattle is that it opens financial and insurance services against these assets. Additionally, this proprietary platform identifies the lineage of each animal and is instrumental in managing breeding programs that improve productivity and are devoid of inbreeding. Launching this programme addresses long standing challenges such as disease control and surveillance and traceability, drug residues in animals and animal products, insufficient health and food safety hygiene standards and systems, among others. Through this innovative partnership, livestock producers are capturing essential data on husbandry including feeding, vaccinations and treatment. These producers are now empowered to access improved markets, insurance services and credit facilities with their livestock enterprises as the collateral, control livestock movement and husbandry management. With RippleNami’s end-to-end solution, banks are now positioned to offer cattle owners micro-lending privileges and sustained financial support. In less than 60 days, the first phase of this Livestock Identification and Traceability initiative reached its registration objectives of 40,000 cattle, 702 owners and 381 premises. “We are thrilled to be selected as the trusted partner by innovators like KVA and Directorate of Veterinary Services” stated Phil Gahn, chief business development officer and founder of RippleNami. “Because the RippleNami real-time data capture and visualization application is completely self-service, any organization can capture, visualize and track sensitive data assets within days of installation. By combining the intuitive visualisation of big data with cloud-based, blockchain technology, emerging economies are leveraging RippleNami’s proprietary technology to map vital geo-assets, generate new economic transactional exchanges while accessing a uniform data platform for their electronic data infrastructure build out. KVA and RippleNami implemented this initiative in Laikipia County in conjunction with the State Department for Livestock, Laikipia County Government and other stakeholders. Implementation on the next county begins June 2018. RippleNami recognizes that people empowered with real-time and easily accessible information around the world can connect and drive unimaginable change. RippleNami is redefining blockchain and mapping with the first visualization platform that consolidates big data and provides information that matters most to its users. This cost-effective, device agnostic, cloud-based platform delivers millions of actionable data points on an intuitive map that enables critical decision making and enhanced collaboration for enterprises, nonprofits and foreign government agencies. With seamless integration, limitless customization and scalable architecture, RippleNami allows people to chart their own world, streamline communications and improve operational effectiveness. For more information about RippleNami, visit http://www.ripplenami.com. The Kenya Veterinary Association (KVA) is a membership organization of Veterinarians and is duly registered under the Societies Act, Cap 108 of the Laws Kenya. Its mandate is primarily to promote the economic development and welfare of its members as well as to safeguard the health and welfare of animals. The Association also acts as a resource Centre for the veterinary profession, providing leadership, advocating for proper management and high level of professionalism in the delivery of veterinary services so as to move the Animal Resource Industry to greater heights of development. As a veterinary profession, the KVA stands high in the push for knowledge, skills and best practices in the service for mankind. Since the Association’s inception in 1966 and subsequent registration as an Association in 1967, it has expanded in terms of membership as well as diversity, ranging from basic animal welfare to quality assurance of veterinary professional services and overall leadership in the Animal Resource Industry where members are responsible for certification and technical competence. Successive office bearers have volunteered their time and resources to ensure the achievement of the Association’s goals and objectives in areas including research, disease management, in spite of funding and human resource capacity challenges. The association is focused on rallying the membership to provide leadership in the livestock sector towards achievement of a food secure nation as well as wealth creation among the livestock farming communities. For more information about Kenya Veterinary Association, visit http://www.kenyavetassociation.com.